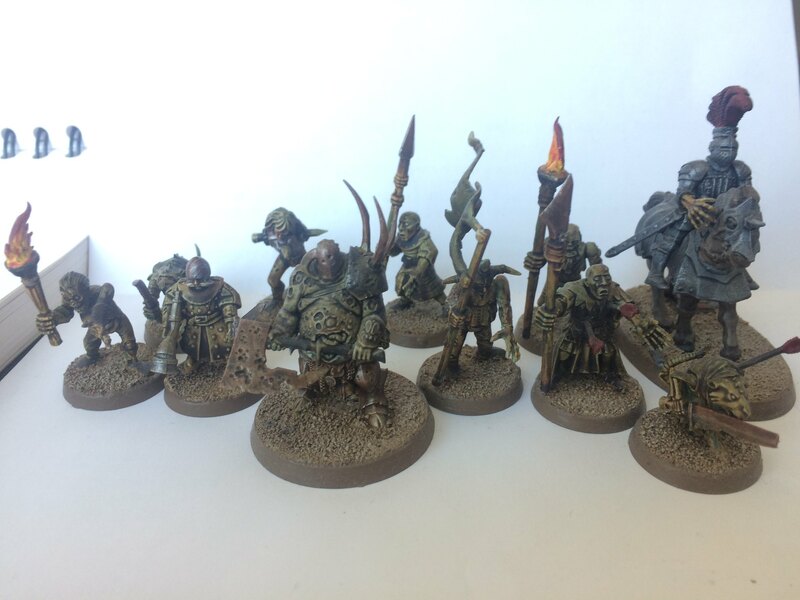 Poor Rephalm has received a second wave of zombies to bring his horde up to 40 strong, a mighty force of rotting decay that can overwhelm the strongest of warriors with the weight of numbers. 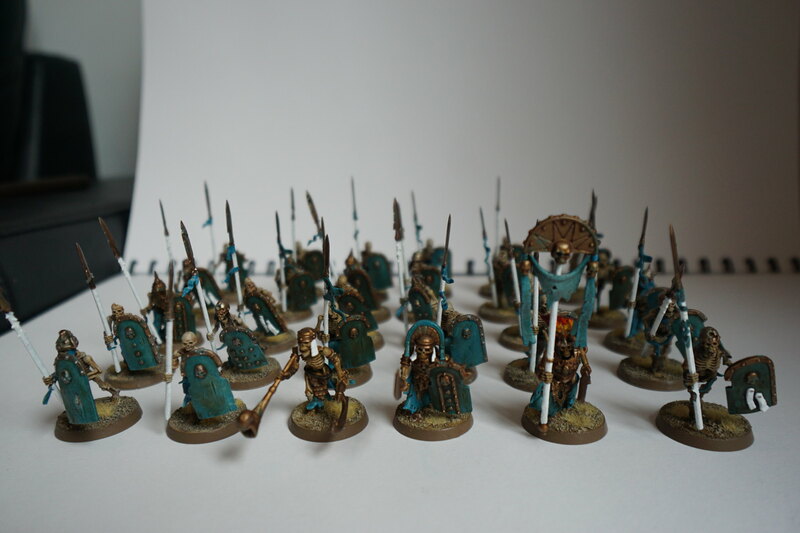 The second batch has been painted the same way as before, and include a musician, or noise maker. 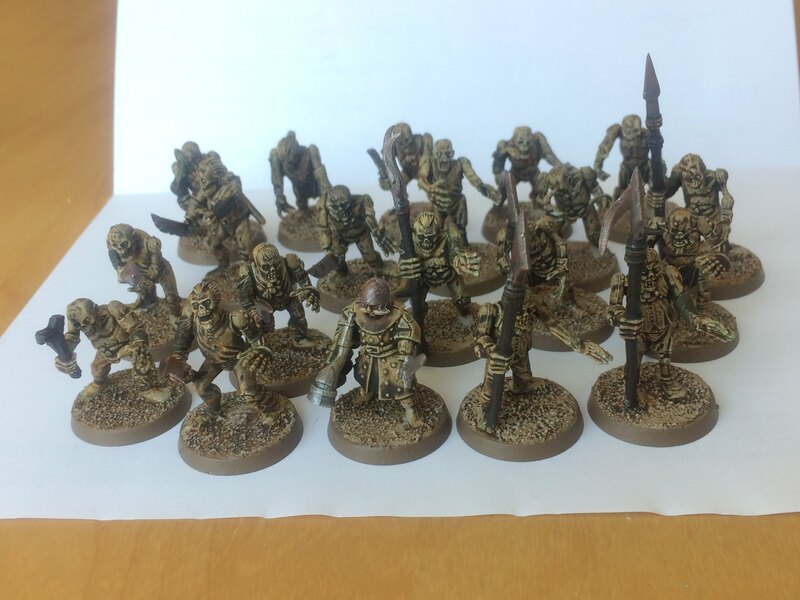 And here are my favourite zombies, special models and the command group. I think they bring a little character to the unit. Last edited by The Gunslinger; 09-20-17 at 12:39 PM. Asteron once ruled over a small kingdom called Savon, located in what is now known as the Border Princes. 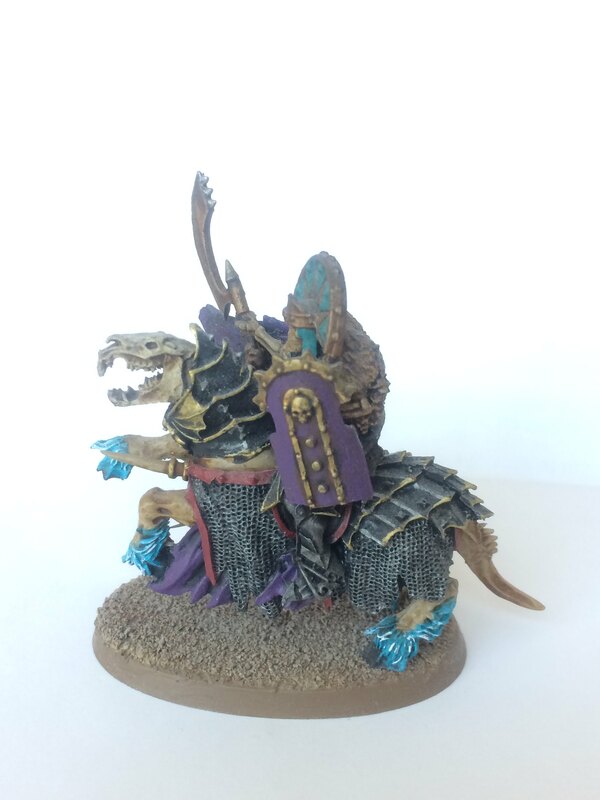 After his death, he was buried in a mighty tomb wearing full ceremonial armour alongside the enchanted sword he used to defeat the Ork Warboss that challenged his kingdom. In the years since the Kingdom of the Savons has fallen to history, and all that remains of the mighty keep is rubble and ruins. On her march north, Countess Verde came across the ruins and could sense the power that was kept at bay by the ancient runes and protective spells. The Countess broke open the ancient seals and used her powers to resurrect the dead within, enslaving Asteron to her will. 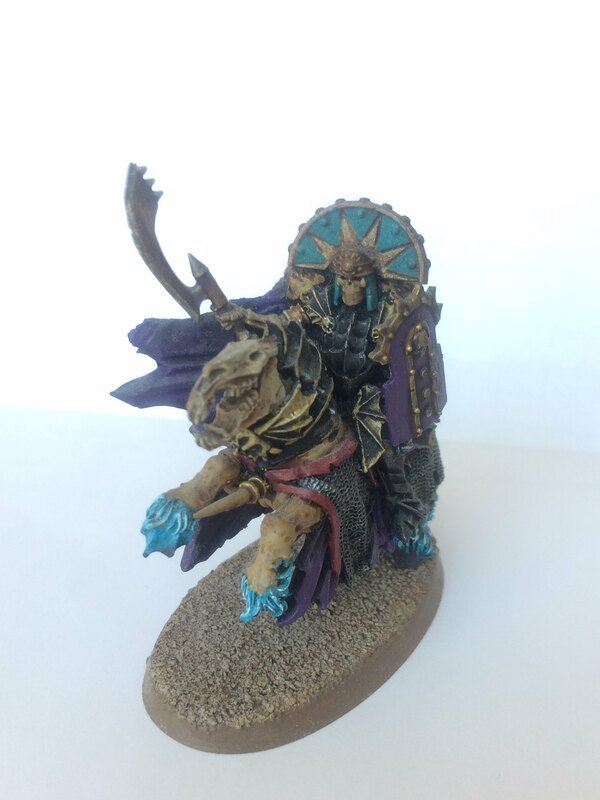 Whilst painting Asteron I wanted to use the traditional colours I have used across my army to bind him to them, but I also wanted to make him stand out as a special character. 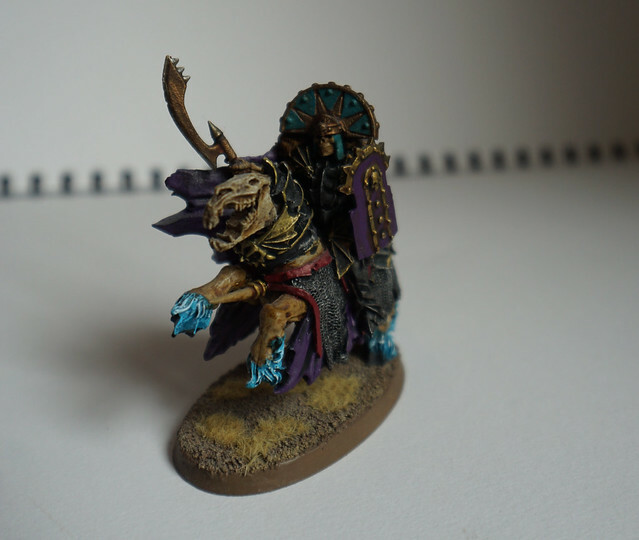 As a result, I painted him with plenty of gold and rich colours such as vibrant purple and warm reds. Last edited by The Gunslinger; 09-20-17 at 12:40 PM. 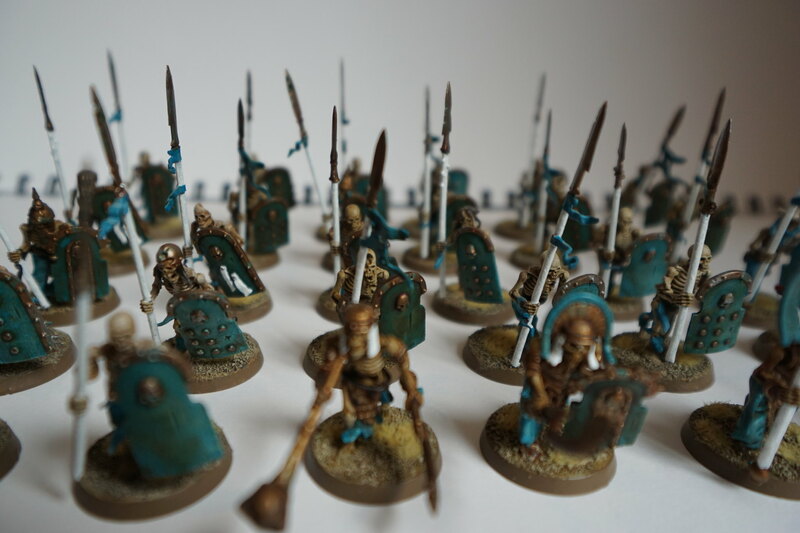 Now 30 skeletons strong, with new white spears and a few alterations to tidy up the old models. 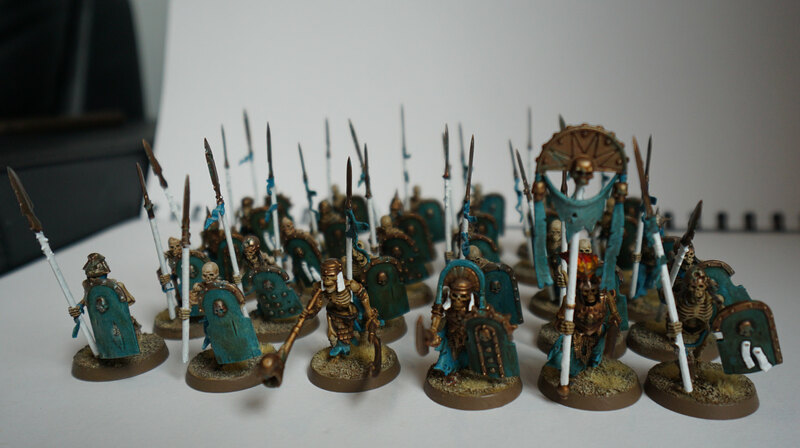 I have also done a new command group, made with Grave Guard models to help them stand out. 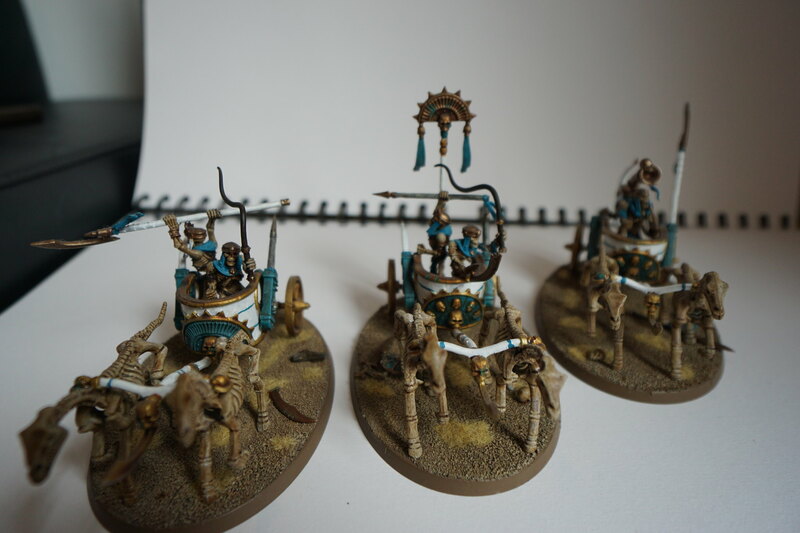 The addition of dead grass to the bases and some subtle highlights help bring the models to life and I’m really happy with this unit. 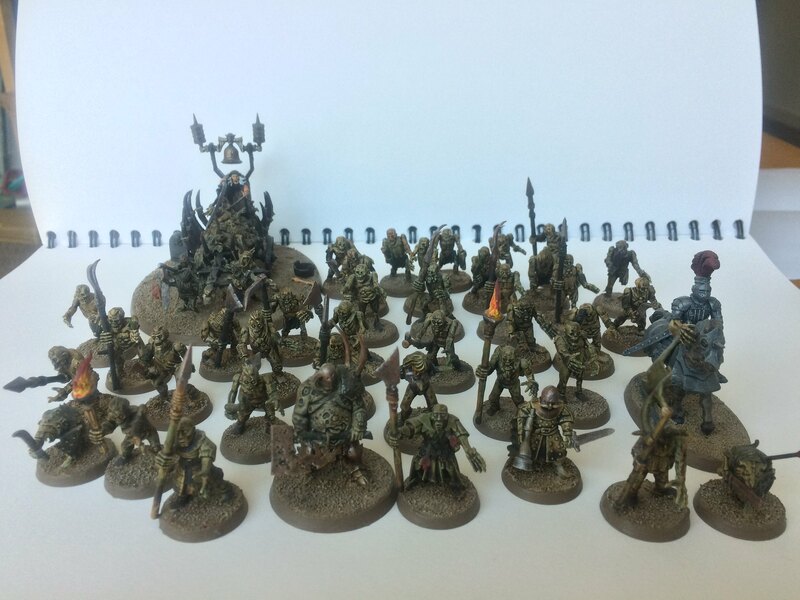 The Legion will be the bases of my army, a solid group of infantry to hold the core of the battle line. Looking great. Did you use nihilik oxide to get that torquoise tone on the shields? Thanks mate. 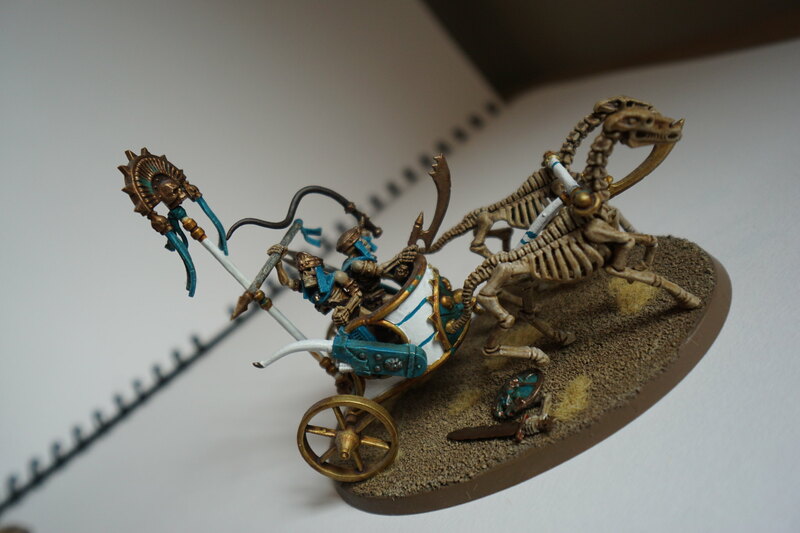 No I didn't, I just watered down a light turquoise until I was happy with it and used that. Got to save those pennies! 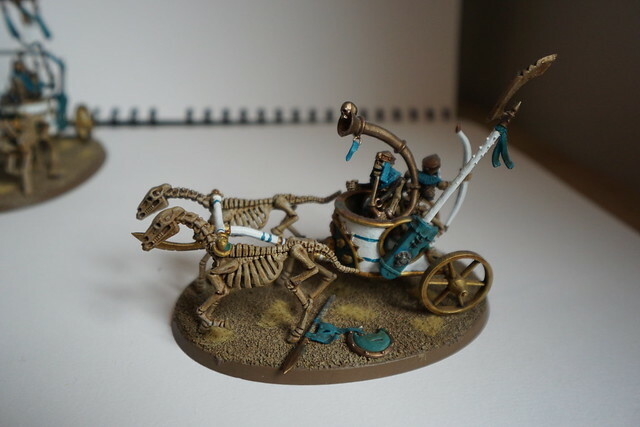 Continuing phase two of my army I have gone over my chariots to tidy up any areas I wasn’t happy with and get them battle ready. 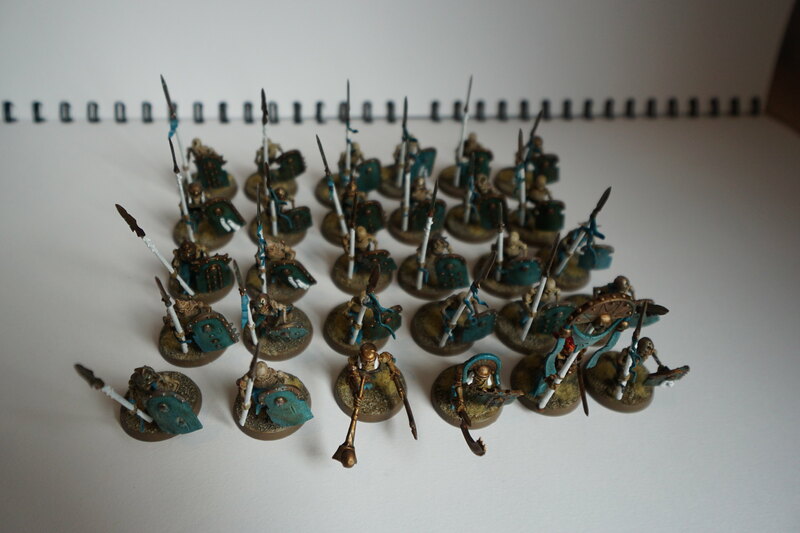 I have added some detail to their massive bases by adding some dead grass and some discarded equipment like shields and swords. I don’t like leaving such a large space empty and I think it makes the model look more dynamic. 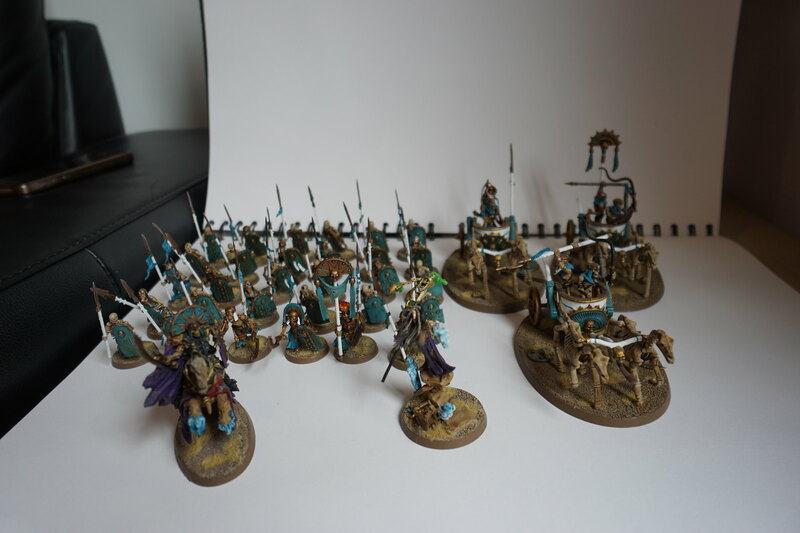 The white, turquoise and bronze connects them to my skeletons and gives the army a common style. 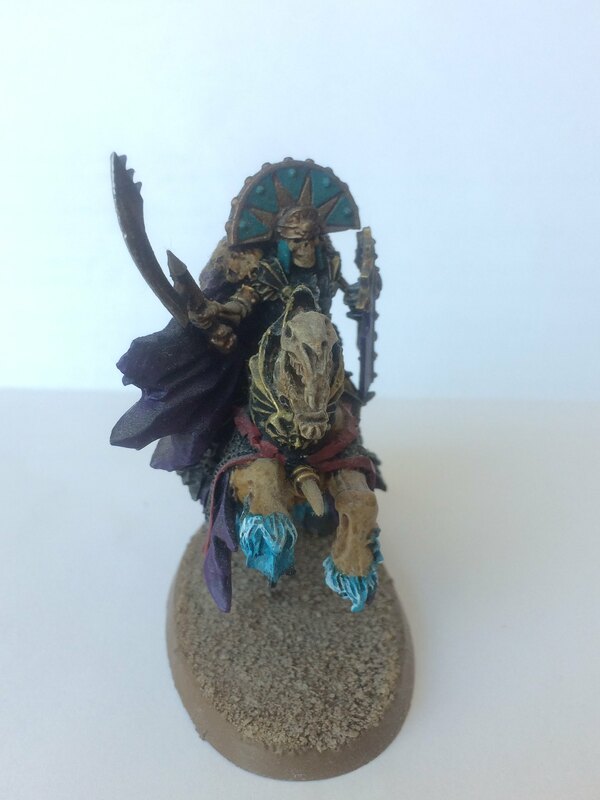 The musician, I used the trumpet from the skeleton warriors kit for this guy, I preferred it to the one that came with it. 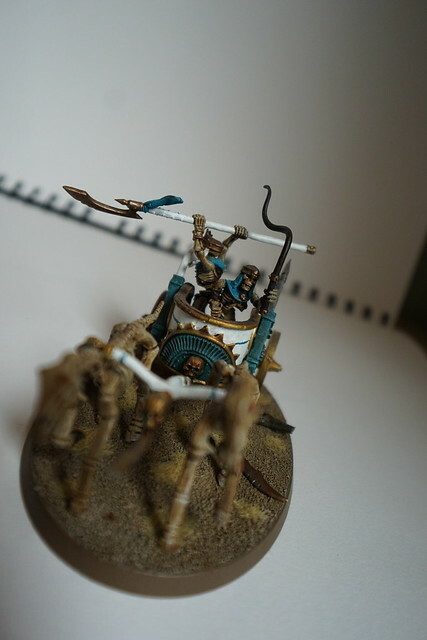 And finally the standard bearer, which can help bring slain models back to life, which I am looking forward to using. 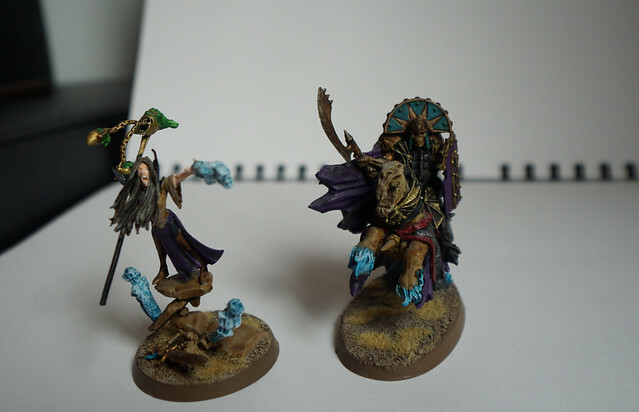 The final part of my phase 2 update comes in the form of the leaders of my army, Asteron, Kind of the Savons and Mara, Lady of the Dead. 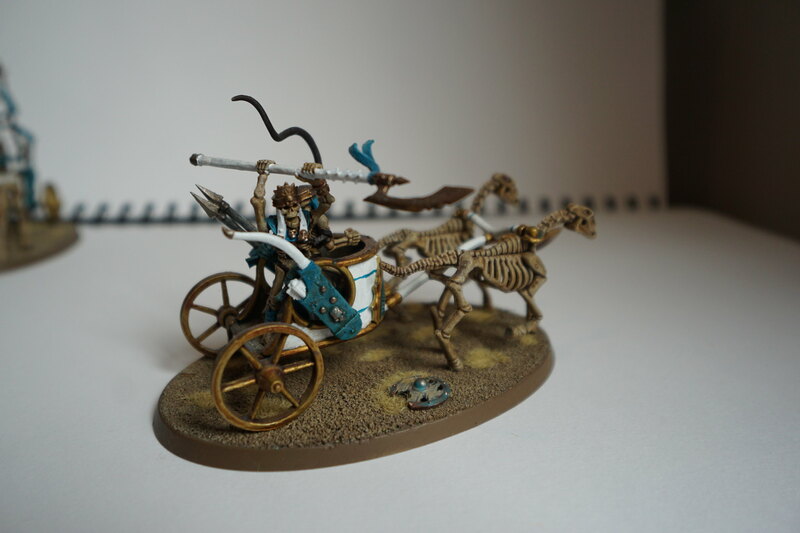 My Mounted Wight Kind was converted from Mannfred von Carstein and was made to fit in with the tomb kings inspired feel to the army. 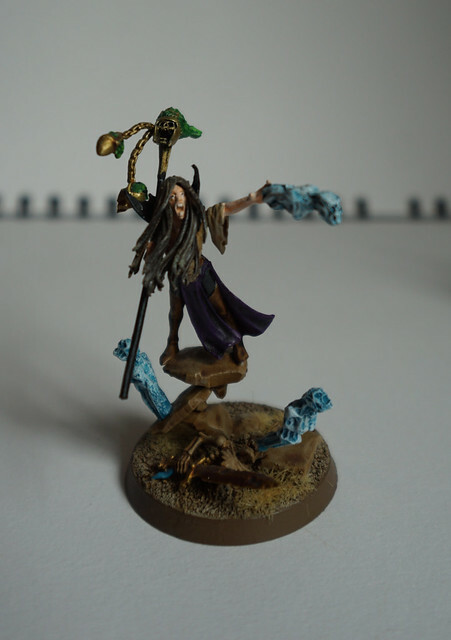 Mara, my female necromancer was made from a dark elf sorceress and a banshee. I wanted to move away from the traditional pathetic wretch of a necromancer and towards a powerful, but young and inexperienced spellcaster that is being manipulated by the Countess.